In Australia there are rules and regulations that govern what automotive glass colours may be used in cars and trucks. 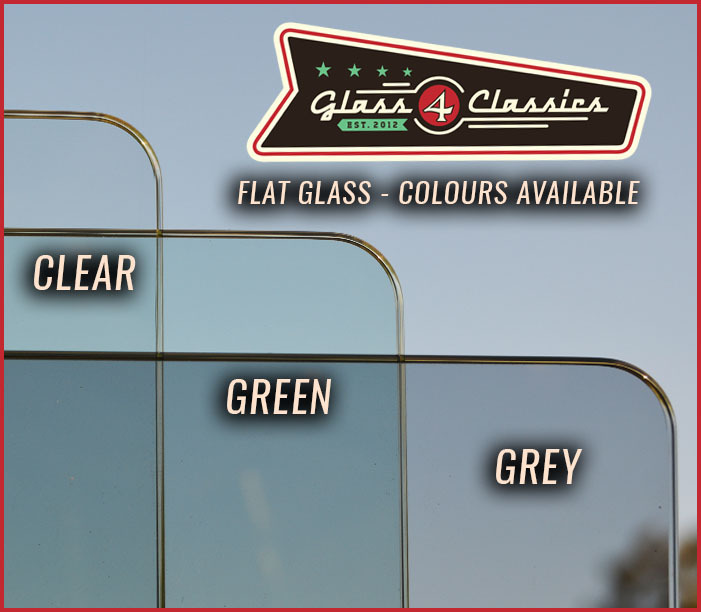 See below for the range of colours available at Glass 4 Classics. whose vehicles came with clear glass from the factory and wish to maintain originality. wish to have a clean look. wish to apply after market tint on their vehicle. Green Tint glass This colour commenced being supplied in vehicles that came with air conditioning installed from the manufacturer. This was very popular option for a large number of 50’s & 60’s vehicles and eventually became the standard for the majority of cars. whose vehicles came with green glass from the factory and wish to maintain originality. wish to co-ordinate the colour of the car with the glass. who like the slight cooling that the green tint provides. 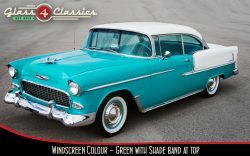 Smoked Grey Tint glass is very popular in hot rods and for those customising their car. who wish to co-ordinate the colour of the car with the glass. who like the very slight cooling that the Smoked Grey Tint glass provides, but also want to remove the risk of scratching, commonly caused with aftermarket tint. Please Note: The tinted glass does not have any UV blocking properties. The glass itself is tinted, it is not a stick on aftermarket tint. All of our windscreens are produced using Laminated Automotive glass and apply to all worldwide safety standards. 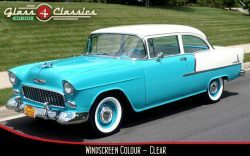 Most windscreens in early cars and trucks were manufactured using clear glass. Green tint was not introduced as standard until the late sixties or early seventies. This is available to select on all our flat glass listings. Most original curved screens in early cars and trucks were manufactured using clear glass. 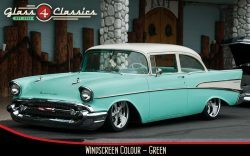 Green tint was not introduced as an option until the mid 1950’s in America and until the late sixties or early seventies in Australia. Current windscreen manufacturers do not commonly manufacture windscreens using clear glass. Glass 4 Classics do have clear curved glass screens for an increasing number of cars. These have been sourced from America or we have had them produced ourselves. Green tint is not always available as an option, except on a number of American made vehicles. This glass is the same as all windscreen glass installed in today’s modern cars. It is often the only choice that those requiring a new screen for their old car or truck. Many vehicles had this as an option by the factory, but later came standard issue by the mid 1960s in the USA and 70’s in Australia. Please contact us to discuss your windscreen requirements.